The former royal capital, Mandalay is a must-see for most travellers passing through Myanmar. 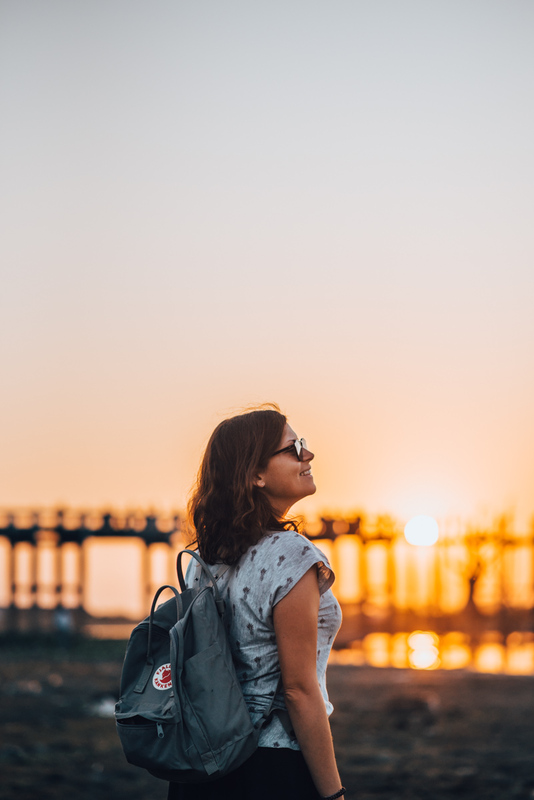 Apart from the numerous temples and pagodas in the city itself, a day trip to explore the outer region is also very worthwhile. 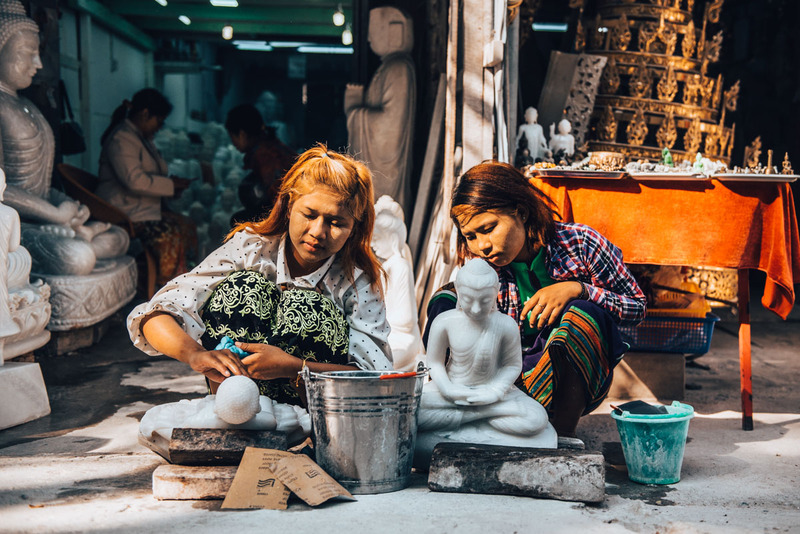 So we decided to spend a part of our journey through Myanmar here in Mandalay and in this blog article, we will share our tips for sightseeing in Mandalay and its surrounding area. Mandalay is the second largest city in Myanmar after Yangon. Unlike Yangon, however, we actually found Mandalay much “tidier” and less chaotic. Mandalay is full of temples and pagodas, but you can get around in the city quite easily, thanks to the well structured numbering system of the streets, just like in Yangon. 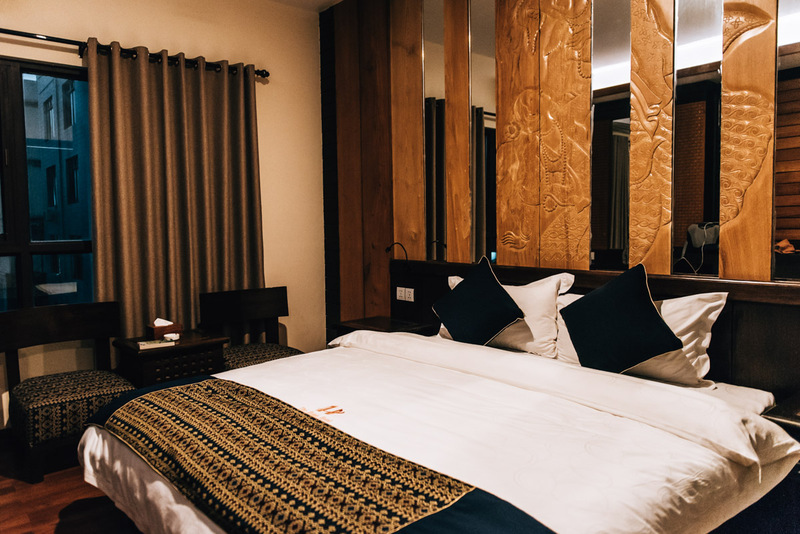 We have heard many contradictory opinions about Mandalay during our travels. Some people really like the city, while others did not seem overly taken with it. Personally, we were more fascinated by Yangon, but the number of temples here certainly made this stopover worthwhile. There are also many historical sites to explore around Mandalay. In Section 3 of this blog article, we will share with you the sights we saw on our day trip, which includes the famous U-Shaped Bridge. 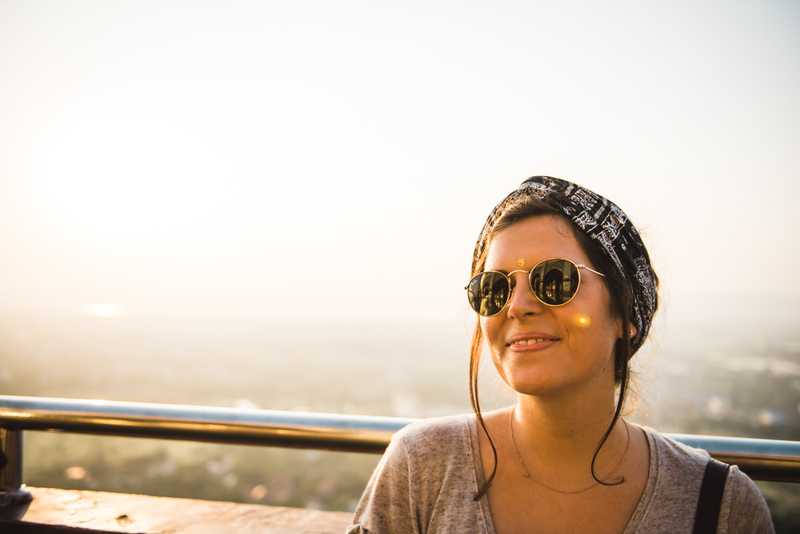 Mandalay Hill, as the name implies, is a hill from which you can enjoy a spectacular view of the city. 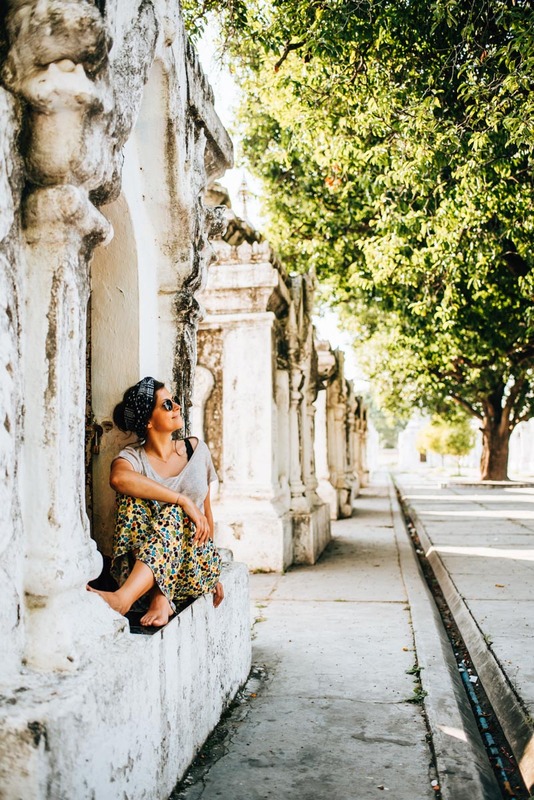 It is one of the city’s main highlights and almost everyone who comes to Mandalay, will make the drive up to Mandalay Hill at least once. Of course it would not be Myanmar if there was no temple to be found at the summit. 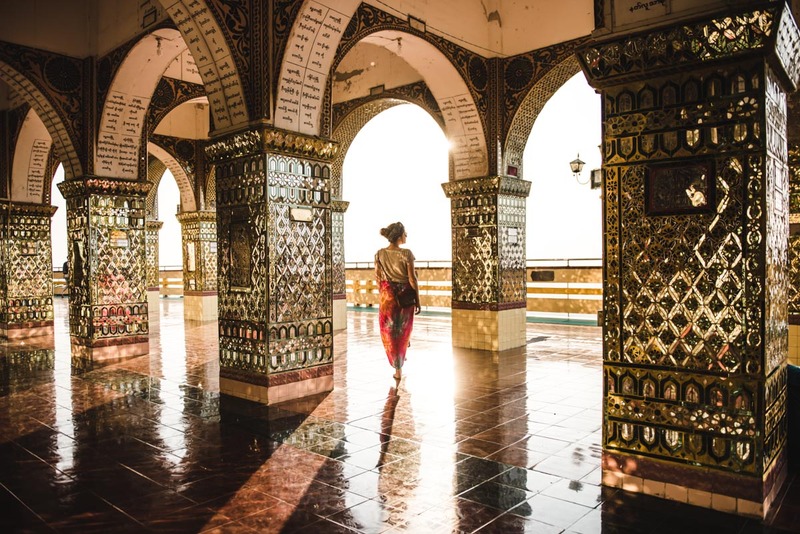 The pagoda on Mandalay Hill is beautifully decorated with small mosaic stones. 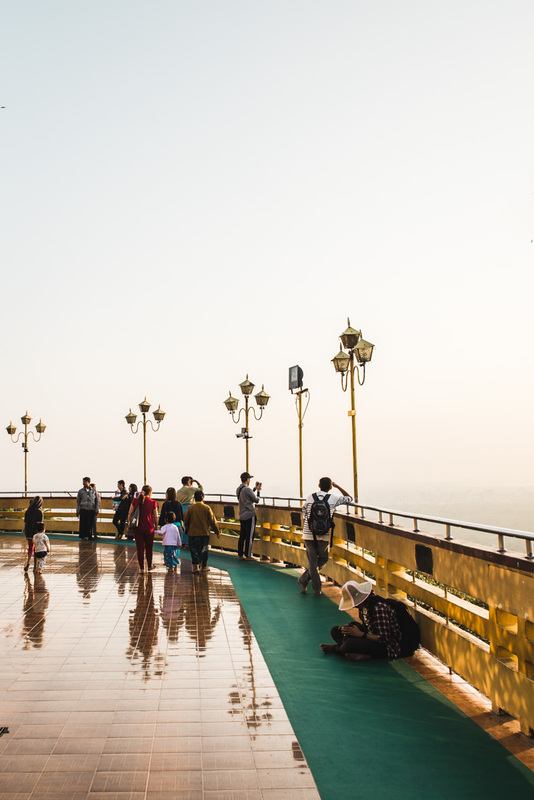 We would recommend visiting Mandalay Hill for sunset, as the view is often hazy from the heavy smog. However, we still found some great lighting for the mood. You can reach Mandalay Hill either on foot or by taxi. The ascent by foot takes about 45 minutes with never ending stairs leading upwards. We were quite exhausted from our day of sightseeing so we chose the taxi option. We paid 8,000 kyat for a one way ride, but from the drop off, you still have to walk a short distance up the stairs to reach the Pagoda. The Kuthodaw Pagoda consists a total of 729 small, white, symmetrically arranged stupas. 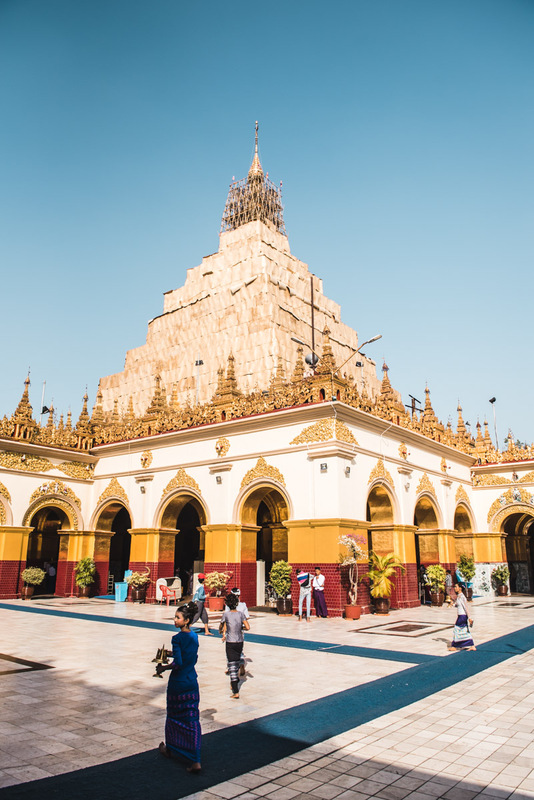 The pagodas each contain a marble slab depicting Buddhist texts, which gains the Kuthodaw Pagoda its second name, also known as the “largest book in the world”. 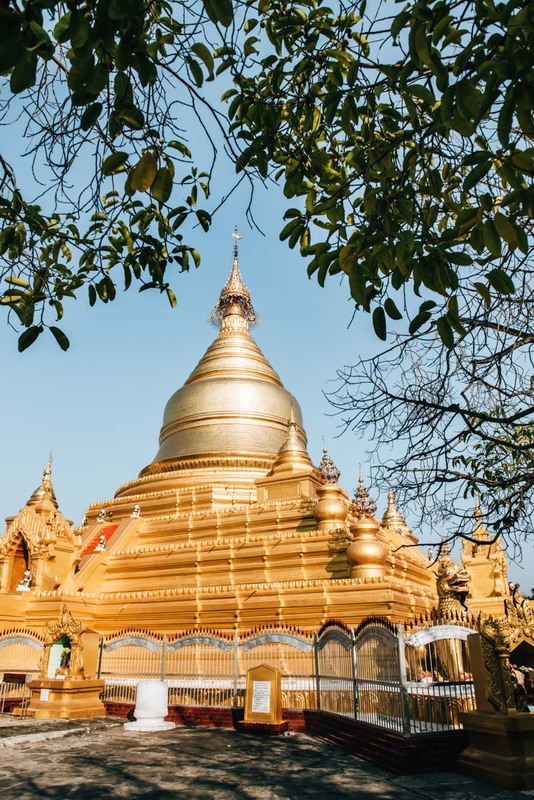 In the vicinity of the Kuthodaw Pagoda, is another large, gilded pagoda, called the Maha Lawka Marazein Pagoda. However, we found the abundance of white stupas on the Kuthodaw pagoda much more eye-catching. The Kuthodaw Pagoda is located north of the old town, which happens to be at the foot of Mandalay Hills. 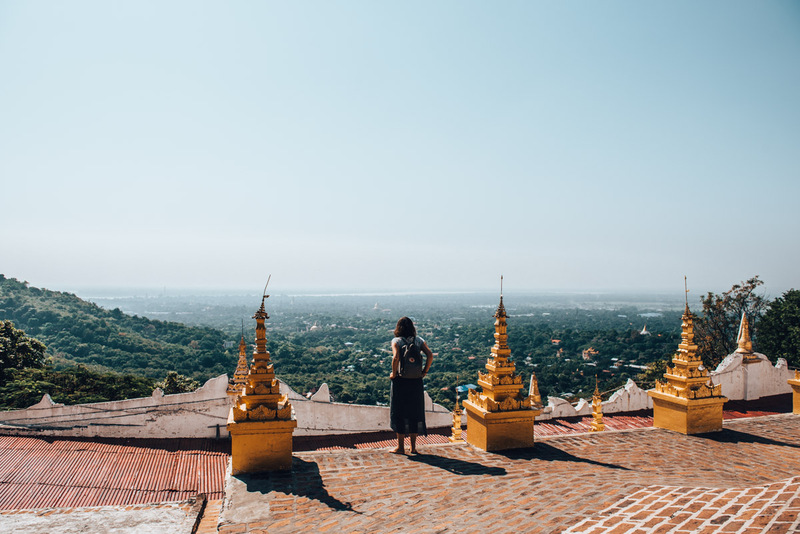 So you can easily combine your visit to both these two attractions, and fortunately both admission and rentals for Longyis (sarong) are free at Kuthodaw Pagoda. 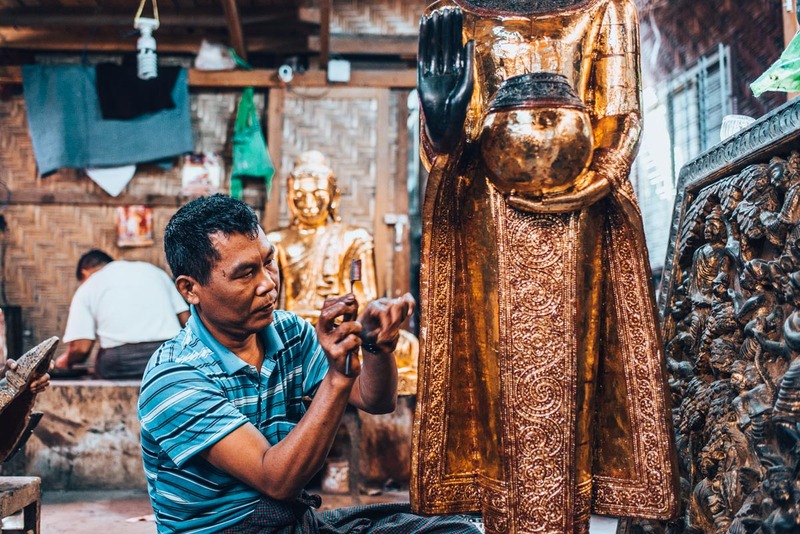 What surprised us here in Myanmar, is that gold continues to be moulded and shaped by hand. 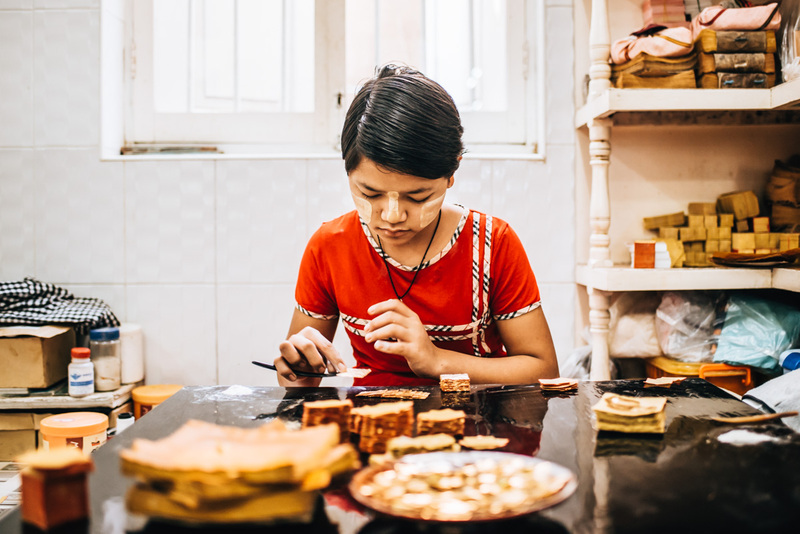 You can see this old-school process being carried out by the Goldsmiths of Mandalay first hand. With a hammer weighing about three kilograms, they beat the golden parcel for hours and hours on end, over and over again, with utmost precision. In the adjoining room, women then prepare the gold leaf for further processing or sale. Speaking of which, they also have a small gift shop where they sell all sorts of souvenirs and art crafts from gold. You’ll find this showroom called “King Galon” on the 36th Street (between 77th and 78th Streets). Heads up: as soon as you hear the rhythmic banging of hammer against gold, which can be heard from afar, you’ll know you’re on the right track. Be prepared, however, to be surrounded by other tourists, as this open-air work exhibition site is not exactly a low-key insider tip, but in our opinion, still worth a visit. Oh yes, in case you were wondering why Kathi had a golden dot on her forehead in the upper photo, that was actually a “souvenir” from the workshop. Before we even had a chance to say no, the lady already had it glued to our foreheads. 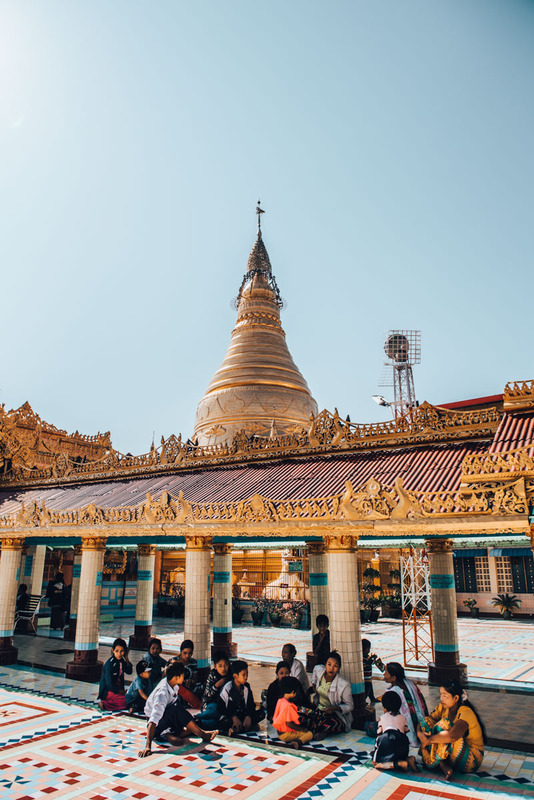 Not only is the Mahamuni Pagoda a religious centre of Mandalay, but it’s also home to the holiest Buddha statue in Myanmar. 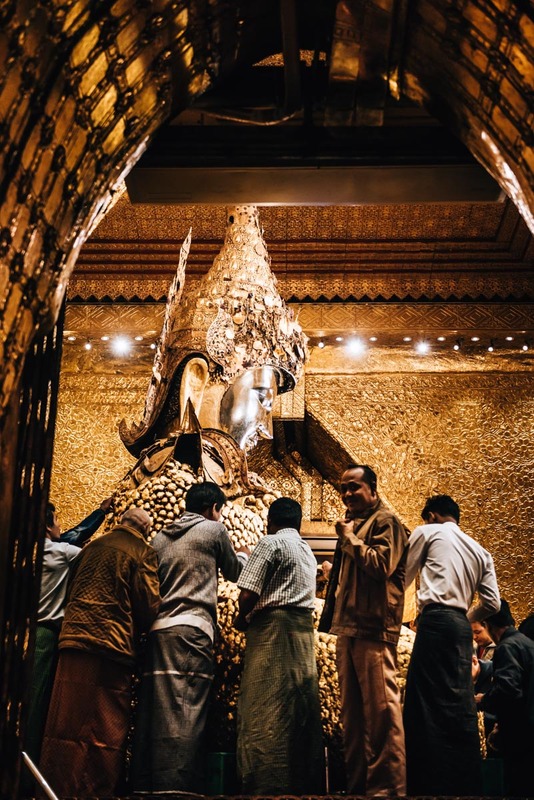 Every day, countless pilgrims flock to the pagoda to plaster the Buddha with golden leaves. 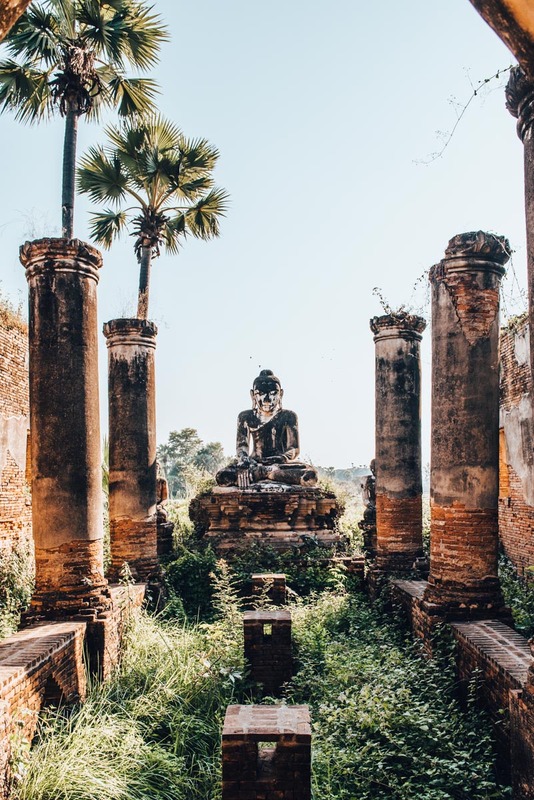 The atmosphere here is just different to the other pagodas and you’ll immediately notice that the Buddha statue is something very special for the people here. The bitterness of Patriarchy: Same deal as with the Golden Rock. Only males are allowed to walk up to the Buddha here at Mahamuni Pagoda, while the women have to stay behind the barrier. Despite the ongoing renovations of the Mahamuni Pagoda during our visit (December 2017), we still enjoyed it very much. Instead of admission fees, we only had to pay 1,000 kyat in “camera fee”. 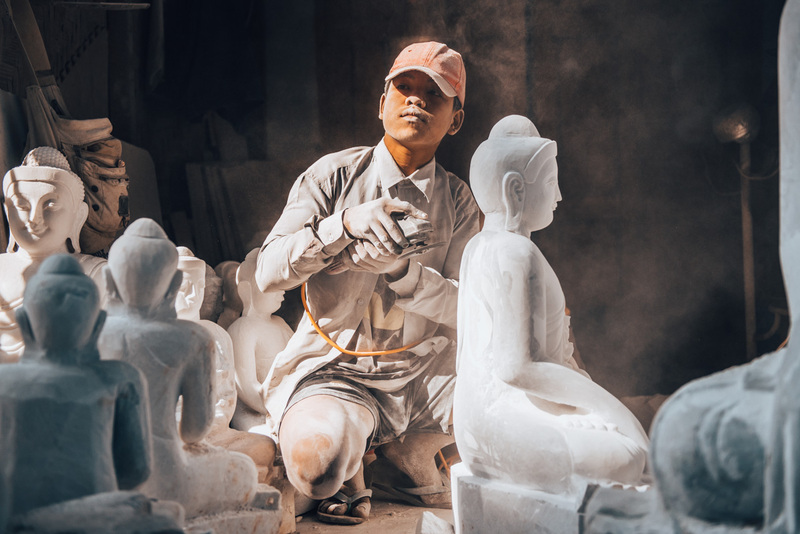 Only a few hundred metres south of the Mahamuni Pagoda, you will come to the Stonemasons quarters, where people carve and polish stone into works of art, namely statues. This workshop then joins up to the Wood Carving quarters. To see the working conditions of these people is not such a pleasant sight. Many grind here without a protective mask and are covered from head to toe by white dust. After only a few minutes we began to struggle with the heavy air – it’s hard to imagine how people go months or years working in these conditions. To be a woodcarver here is an upgrade, in the sense that they still work incredibly hard, but are able to do so with much less saturated air. Mandalay itself has a lot to offer and we would definitely recommend exploring the surrounding area as part of a day trip. An entire day with a private driver amounted to only 45,000 kyat (about 27 euros). Below, you will find our opinions and descriptions of the places we visited. Sagaing is located about 20 kilometres southwest of Mandalay. 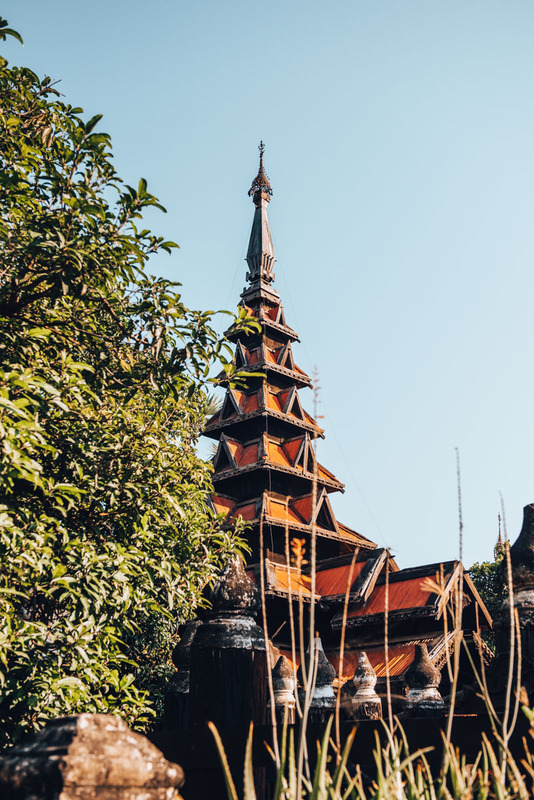 In this hilly region, it would not be Myanmar without its abundance of pagodas. It is estimated that there are over 600 stupas here! If you are coming from Mandalay to Sagaing, your driver will most certainly stop at the bridge. From there you have a beautiful view of the green landscape from which the pagodas tower upon. Our next (very short) stop was Thidagu World Buddhist University, also known as Sitagu International Buddhist Academy. We strolled around the huge building in a circuit, but there was not much to see as we weren’t allowed to enter the building. Most likely the hall is used for Buddhist conferences. 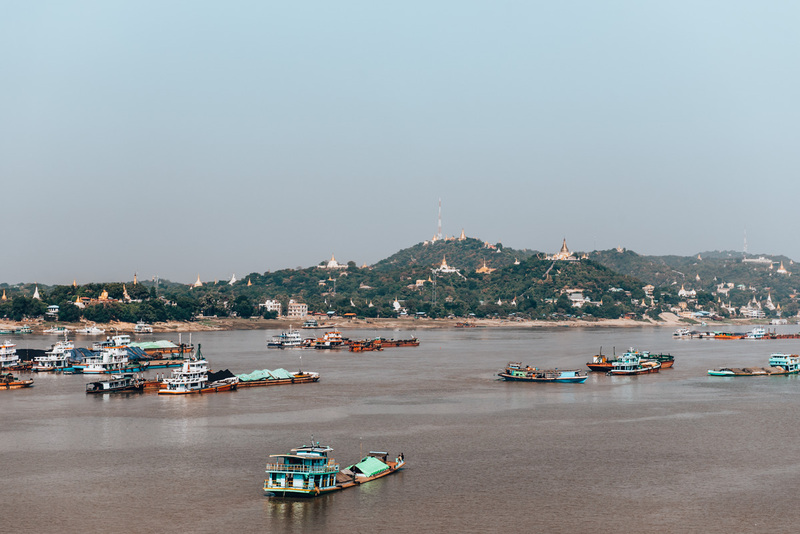 We then went up to Sagaing Hill, which we had already seen from the bridge, with our driver. Our first stop was the U Min Thonze Caves. The “caves” in the name is a bit misleading, as you actually have a panoramic view of the green, hilly landscape. Inside the building you will find a row of 45 gilded Buddhas altogether. Interestingly enough, the U Min Thonze Caves are much less frequented than the well-known and nearby “Soon U Ponya Shin Paya”. Apart from two other couples and ourselves, there were only a few curious children and monks on site. Very close to the U Min Thonze Caves is the rather well-known Soon U Ponya Shin Paya. Here you have a great view of Mandalay on the left and Sagaing on the right. There is also a large Buddha inside the pagoda for people to admire. Heads up: Since everyone who comes to Sagaing stops here, you can expect a lot of human traffic. After our lunch in the Minn Wun Valley (which was surprisingly good, though it was clearly tailored for tourists), the old royal city of Inwa was our next stop. 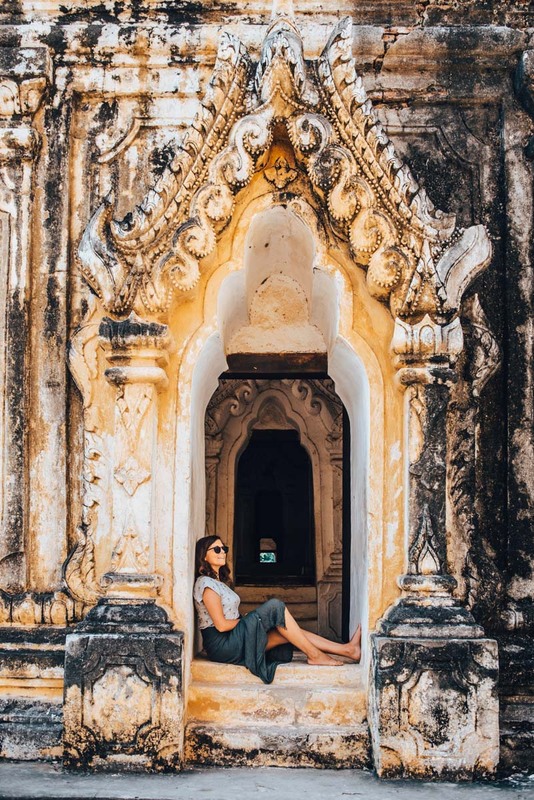 As we explored Inwa (also known as Ava), we once again realised how much history Myanmar has. You can find, in this relatively large area, a number of ancient buildings. Some may have rubbled and weathered away, while others have stayed in better condition. To get from Sagaing to Inwa, your driver will drop you off at a boat dock. The boat ride over the Irrawaddy River takes only a few minutes and costs 1,400 kyat (return). 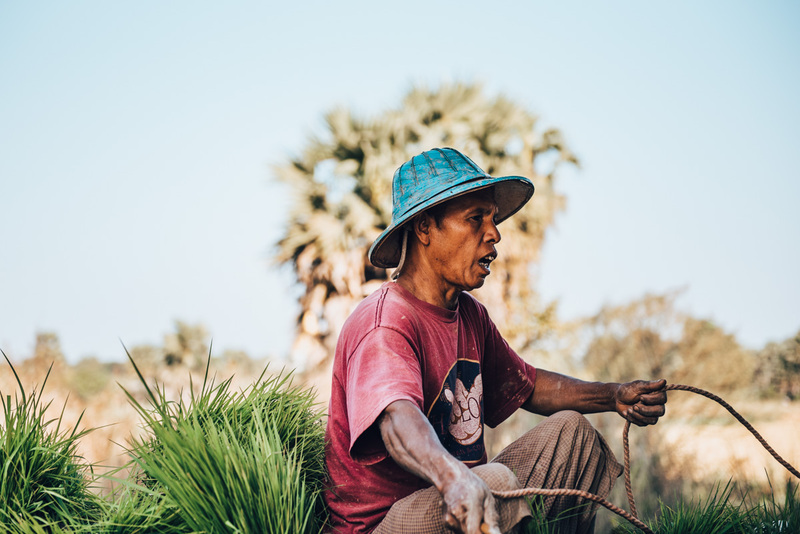 It is quite common to explore Inwa with a horse-drawn carriage, however, we really didn’t like the idea of animal labour and therefore decided, against all the offers cried out by the locals, to use our own feet and walk. It is indeed possible, although the distances are rather far, so in order to maximise our time, we made our way back to the boat dock by hitching a ride on the back on a local’s scooter! Next time we would probably rent a scooter for this section. We arrived at our first significant location, which only took 10mins on foot. 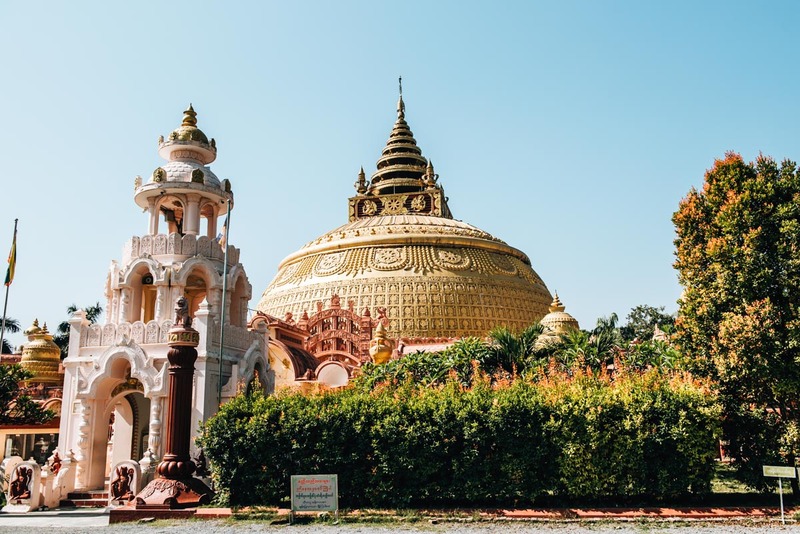 The ocher-coloured stone structure called Maha Aung Mye Bonzan Monastery immediately captured our attention and prolonged our stay a little more than planned. From the monastery we walked about half an hour to the next big attraction, the Yadana Hsmee Pagoda. Although the actual site is relatively small, we liked this pagoda the best. It’s been pretty weathered down, but still holds a unique beauty. From the Yadana Hsmee Pagoda, it takes about a 10-15 mins walk to the teak monastery called Bagaya Kyaung. Together with the Maha Aung Mye Bonzan Monastery, it is considered the highlight in Inwas. 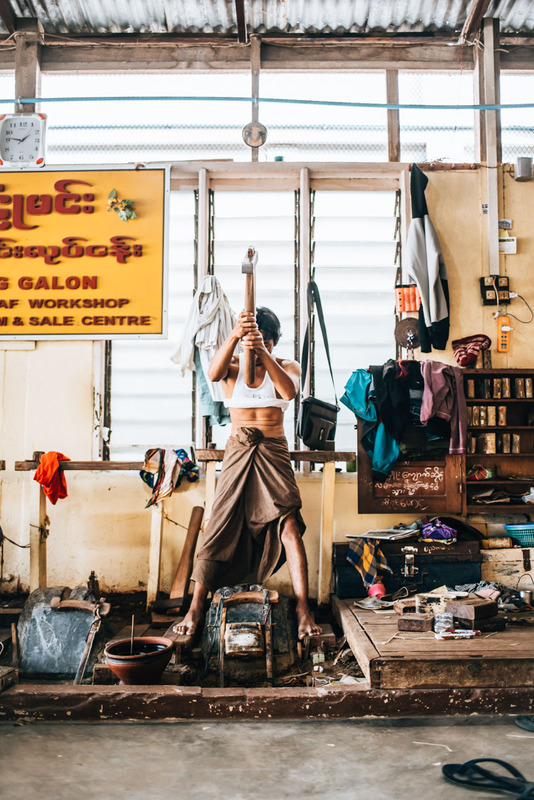 Since you have to go barefoot, as in all religious sites of Myanmar, a little caution is required regarding exposed nails. 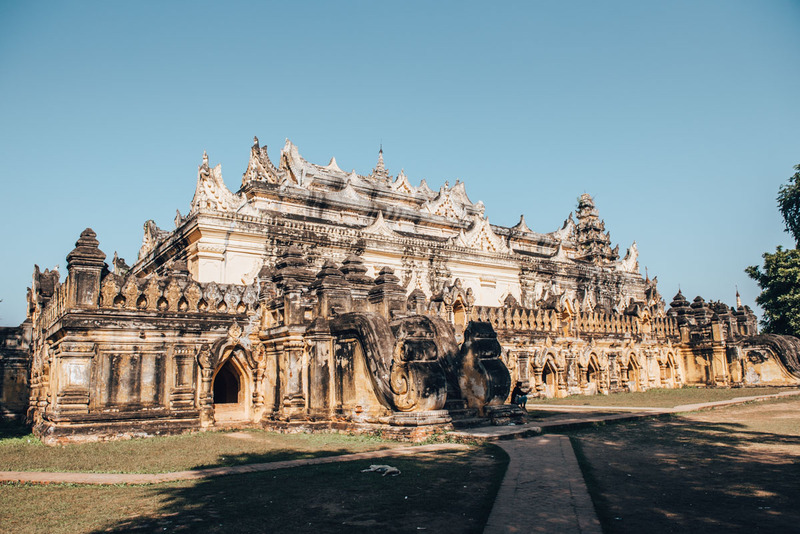 For us personally, the Bagaya Kyaung was not as impressive as we expected, but it may well be that it just got a little drowned in all the magnificent pagodas we saw today. The premises of the monastery was unfortunately closed off to visitors, which may have also added to our slight disappointment. The final destination of our day trip was the famous U Bein Bridge in Amarapura. 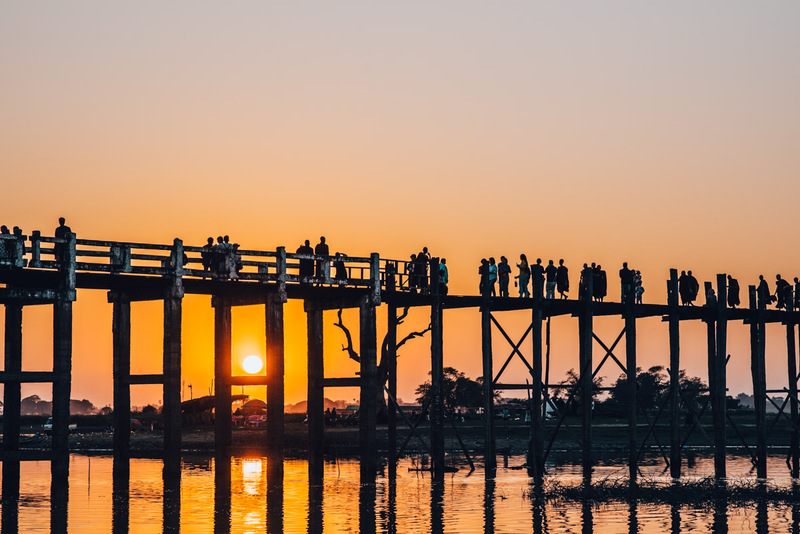 The longest and oldest teak bridge in the world traverses the Taungthaman Lake over a length of 1.2 kilometres. Without a doubt, the bridge is ridiculously crowded at sunset. Not surprising, however, that everyone wants to photograph the famous bridge with a sunset backdrop. If you want to avoid the mass human crowds, then best go for sunrise. In order to have the best view of the sunset, you have to rent a boat with a willing driver. Unfortunately we couldn’t find any during our visit, so we just sat in a tiny “restaurant” right on the opposite bank and drank a fresh coconut. You can find the cafe on the left as you cross the lake from Amarapura. There is a small exit that leads you straight down to the shore, so you don’t have to cross the bridge and walk back down. 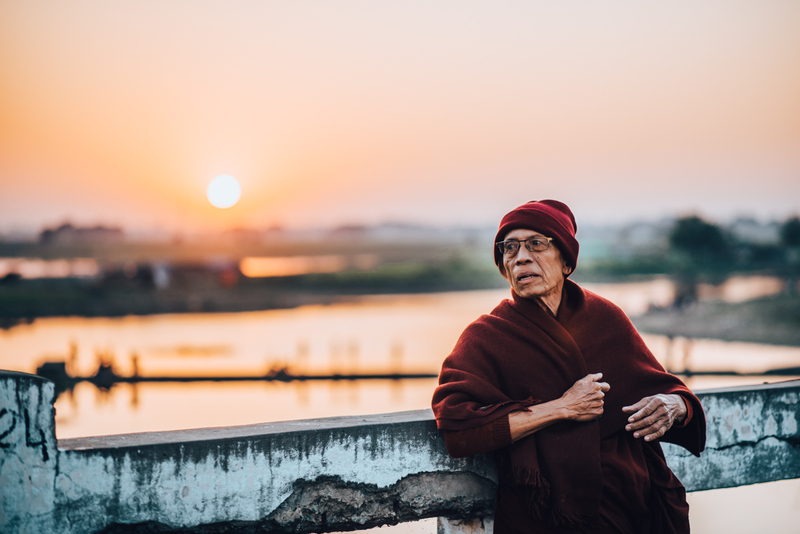 Depending on the season, the sunset in Amarapura takes place between 17:30 (December) and 19:00 (July). Extra Tips: If you still want to see some sights in Mandalay, you can easily integrate this into your day trip without paying more. Our driver brought us, for example, to the Mahamuni Pagoda and they might even know of some other secret locations. We can highly recommend this sort of day trip to you. Rarely do we get to visit so many exciting destinations in such a short time. We spent a total of three nights at The Home Hotel, which we can highly recommend. The hotel is relatively central and most importantly close to a variety of restaurants. Our room was a bit dark but very comfortable and a decent size. The bed was super comfortable and the breakfast was better than expected, however, also relatively extensive. We paid 40 euros per night for this standard category room. Guilty confession: In Mandalay, we were hit with a huge craving for European food again, so this time it took us to the Bistro At 82nd. 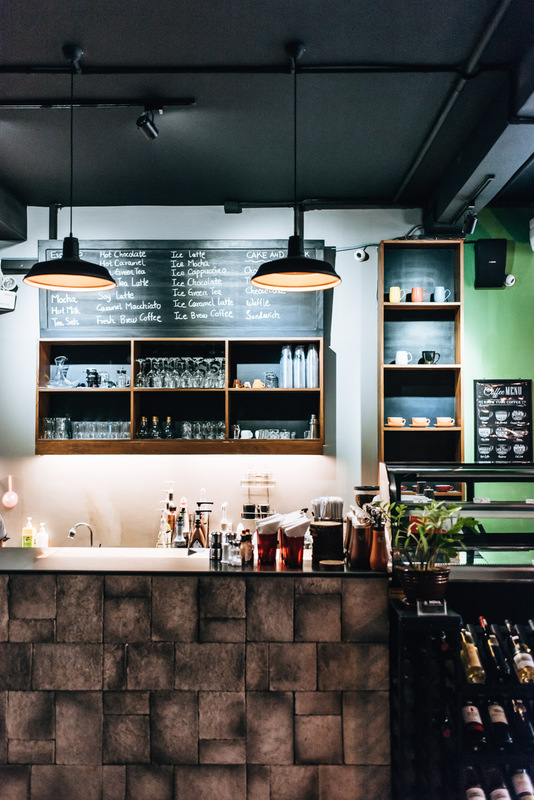 The restaurant is located – as the name already suggests – on the 82nd Street just a few hundred metres from the Home Hotel. 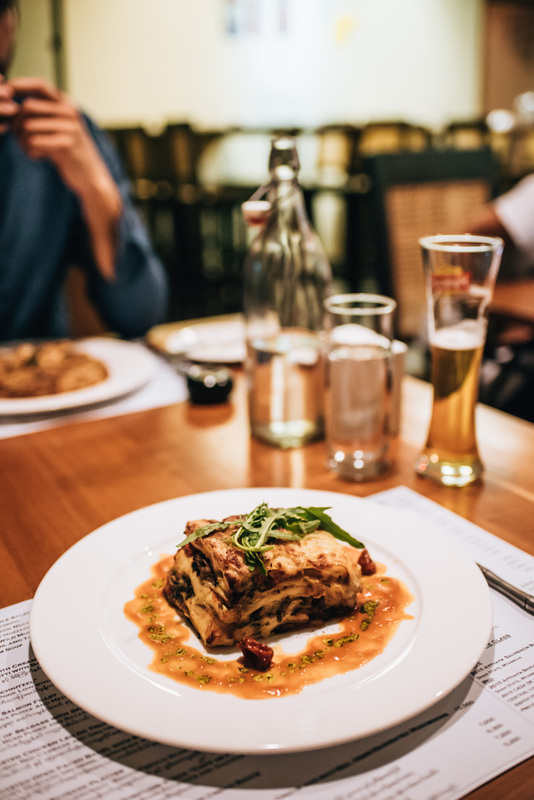 International cuisine is served at a very high standard. Unfortunately, the menu is very meat orientated, but there are also a few vegetarian dishes. Everything tasted excellent. The prices are very high for Myanmar standards, but we found the bistro not too overly priced. We paid 30,000 kyat (just under 20 euros) for the both of us (including drinks). In search of good coffee (espresso! ), we landed at Nova Coffee. Apart from us, the customers were mainly young, rather wealthy locals. The espresso (2000 Kyat) was very good, there is nothing to complain about. 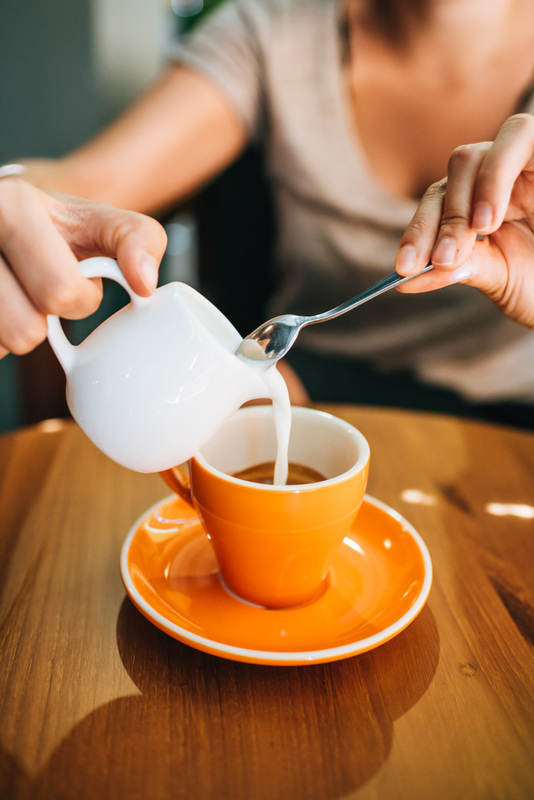 So, if you’re a caffeine junkie too, definitely make a stop by! Mandalay is situated a good distance from Yangon, which is the only international airport in Myanmar. You can fly directly to Mandalay from Thailand (Bangkok and Chiang Mai), or there are also many domestic flights to Mandalay within Myanmar. 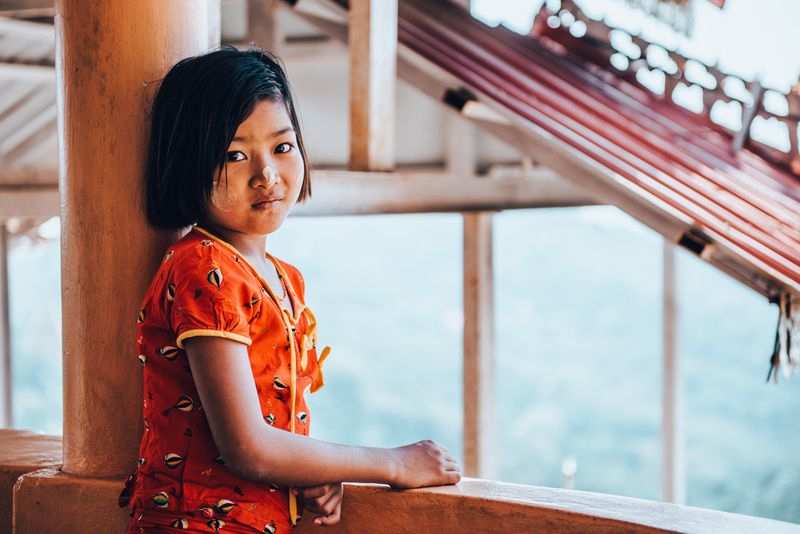 However, as many start their Myanmar journey in Yangon and come either from Bagan or Inle Lake, most travel over land to reach Mandalay. We ourselves came from Bagan. 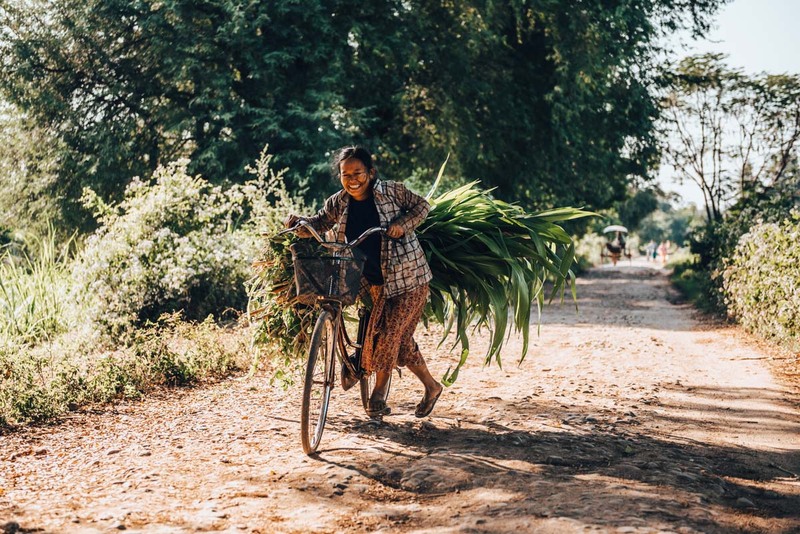 For this route we took the bus (9,000 kyat), which turned out to be a minibus with about 20 seats, but there are several buses running daily between Bagan and Mandalay. Our bus departed at noon and the journey takes about 5 1/2 hours, so we arrived at Mandalay around 17:30. You can also travel this route between Bagan and Mandalay by boat. 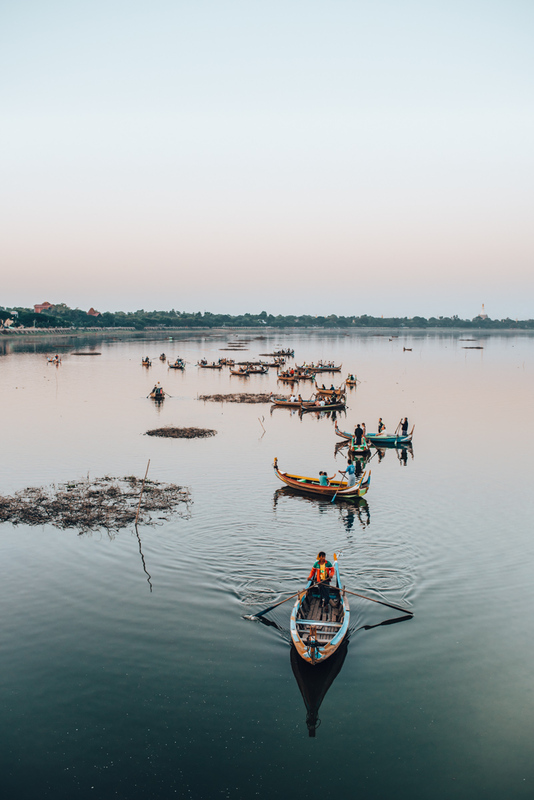 The ride along the Irrawaddy River should be quite an experience. All in all you would spend 9 hours on the water, but you can take in the passing scenery comfortably from the deck. Disclaimer: This blog article contains our personal recommendations in the form of so-called affiliate links. If you book or buy something via these links, we will get a small commission. For you, this does not change the price. Cool thing, right? Biggest thanks from both of us! 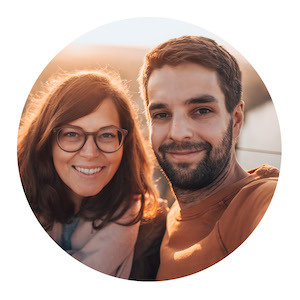 Have you been to Mandalay and still have tips or testimonials for us? Or perhaps some questions? We look forward to your comment!